1BNC/1*RJ45 High speed OFDM signal transmit on Coaxial cable Available in Black and Blue color for the enclosure. If not specified, the color will be shipped randomly. 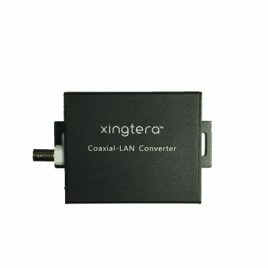 To get a volume discount, please contact Sales.World@xingtera.com. © 2019 Xingtera Sample Purchase. All Rights Reserved.